Xponex Social Media News Blog: Where Do Facebook's Ad Revenues Come From? It was announced recently that in 2010 Facebook brought in $1.86 billion from their ad revenues. That is quite a large chunk of change. Surprisingly, though, most of the money that was brought in from ads did not come from the big name advertisers. So, where do most of their advertising revenues come from? Well, according to a report by AdAge that cited revenue estimates from eMarketer, Facebook received 60 percent ($1.12 billion) of their ad revenues from smaller companies. They went on to say that most of these smaller companies produced the ads themselves and did not use an ad agency. The company also reported that in 2009 smaller companies accounted for close to 50 percent of Facebook’s ad sales. This shows that in just a short period of time those numbers have risen nicely. "Those advertisers are really juicing Facebook's growth," Debra Williamson, an eMarketer principal analyst, told AdAge. "They buy advertising in bulk. They've done it for years on Google, and now they're taking that expertise to Facebook." AdAge reported that in 2010 Facebook earned $740 million from the advertisements of bigger companies like Coca-Cola, Procter & Gamble, and Match.com. Although the smaller company’s advertisements are obviously doing well, the two biggest advertisers on Facebook are AT&T and Match.com. Now, there definitely seems to be a big name that is missing from the list of bigger companies advertising on Facebook…Google! Google is the fifth-ranked advertiser on Facebook. Honestly, it’s a little surprising that Google even made it that high. 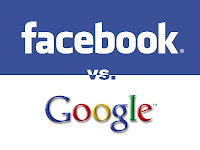 There have definitely been some issues between Google and Facebook over the past year. It all started with Google blocking users from importing their Facebook friends through Gmail. "You have been directed to this page from a site that doesn't allow you to re-export your data to other services, essentially locking up your contact data about your friends," read a message on Google's Gmail page. "We think this is an important thing for you to know before you import your data there. Although we strongly disagree with this data protectionism, the choice is yours. Because, after all, you should have control over your data," it continued. In response to this, Facebook went ahead and removed any mention of a way of importing Google contacts on the “Find your Friends” feature. It was also suggested by many that the reconstructed Facebook messaging system that was released in November was attempting to replace the need for Gmail. However, Facebook CEO Mark Zuckerberg refuted these claims. Zuckerberg did comment on Gmail or Yahoo Mail though, saying, “The kids said 'It's too slow, it's too formal.'" 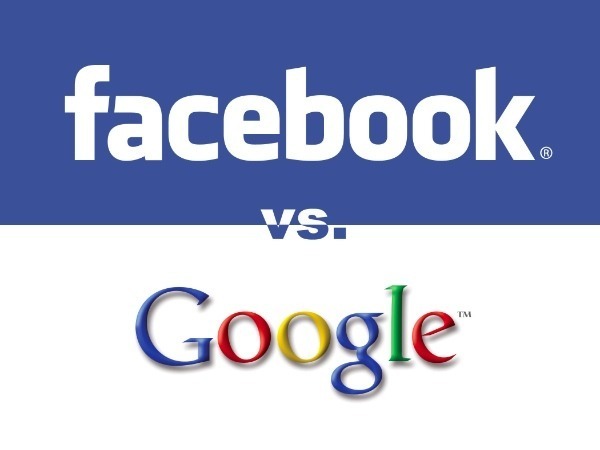 AdAge said that despite the differences and disagreements between Google and Facebook, the two companies do have some similarities. 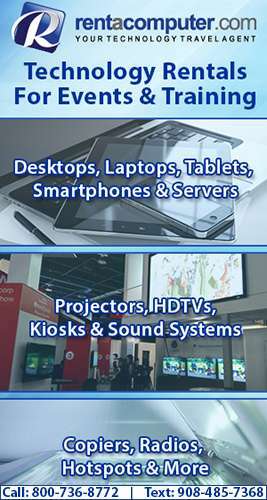 Both companies draw in smaller company advertising. Even though Facebook has been seeing an increase in revenues lately, the company really hasn’t affected Google’s market shares much at all. AdAge reported that Google brings in on average more than $2 billion in ad revenues every single month. However, despite this, Facebook is beginning to catch up with Google. The company currently comprises five percent of the ad spending that occurs on the Web. AdAge said that at the rate that Facebook is growing, it could easily be up to eight percent this year. The estimates that eMarketer released for Facebook’s 2010 ad revenues is really a testimony of just how quickly the top social networking site is growing. eMarketer predicted that in 2009 Facebook took in $740 million in global ad sales, and in 2011 they are predicting that the 2010 numbers will show an 86 percent year-to-year increase.